Our team is led by a Qualified Accountant with years of commercial and Management Accountant experience. This has allowed us to offer more than just Bookkeeping and BAS Agent Services. Smart Bookkeepers is based in Sydney but is currently servicing clients in other states- ACT, VIC, QLD, WA & NT. This was made possible through cloud technology. We take your business as our own. We try to learn and understand our client’s business. We are fully committed to help you develop and grow your business. If ever you need help, we will be there for your query even after hours. At Smart Bookkeepers, we will tell your story thru numbers- past, present and more importantly future. Business is always a numbers game, use it to your advantage. 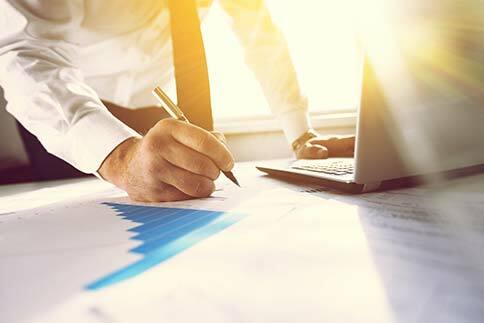 With our vast business experience across industries, we have helped a number of businesses grow improve efficiency, increase revenues, decrease costs. We also have access to a great variety of specialists - Accountant, Business Coach, etc. SMART BOOKKEEPERS is a Management Accountant and a Registered BAS Agent practice. Our team is led by a Qualified Accountant with years of commercial and Management Accountant experience. This has allowed us to offer more than just Bookkeeping and BAS Agent Services. At SMART BOOKKEEPERS, we ‘partner’ with our clients in running and growing their business. We focus on our client’s need to understand their business better through numbers. on certain areas of operation to increase efficiency. 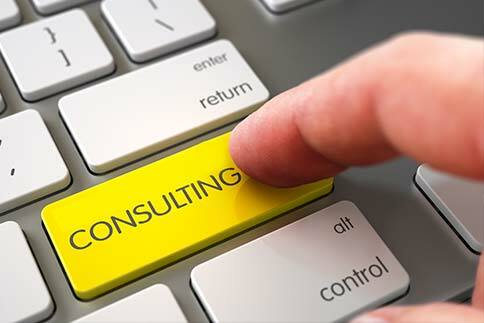 We offer Value-Added Services to our clients such as a scheduled one to one discussion about the business’ financial condition and results of operations. We believe that this process is critical in making informed business decisions and planning ahead. It is also during these discussions that we bring about our suggestions and recommendations to further improve the business. We cater mostly to SME’s who require an accounts person to closely monitor their financial affairs and compliance requirements. In our client engagements we sometimes act as CFO, Financial Controller, Accounts Manager, Internal Accountant or simply Bookkeeper for the client’s business. And in our commitment to raise the standards in the bookkeeping profession we are now offering ‘Bookkeeper Mentoring’ for passionate individuals trying to enter the accounting profession or those who would want to set up their own bookkeeping practice. We can handle your BAS/IAS reporting monthly or quarterly. Statements are lodged on time all the time. If you are behind in your BAS/IAS lodgements, we will help you get it up-to-date now. Contact us immediately. 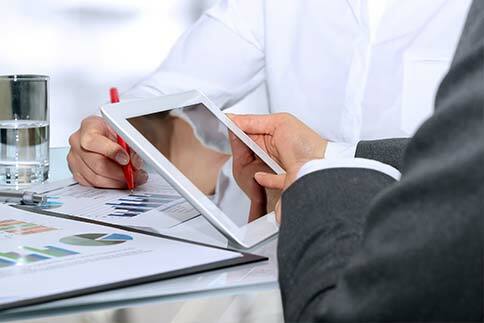 We only provide offsite bookkeeping services. However, we recognise the need of some clients for occasional onsite work- that can be arranged. We use Xero, Quickbooks Online (QBO) and MYOB in servicing our client’s bookkeeping requirements. We provide Xero, QBO or MYOB set-up and training, business planning and business health check services. We offer Bookkeeper mentoring to individuals who have completed their Certificate IV or equivalent and who have the passion to help business owners and love details and numbers. We can train you to become professional bookkeepers in less than 12 weeks. in management accounting, bookkeeping and business services. 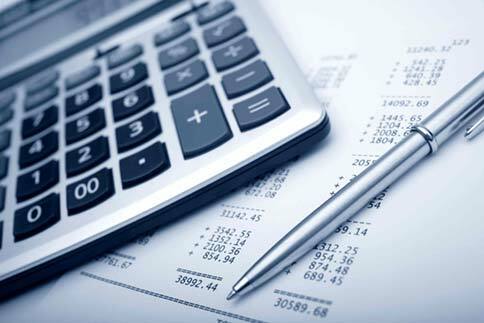 We provide financial services with precision accuracy. Smart bookkeepers is built on a strong foundation you can trust. We were so pleased with Mike’s work. He was prompt and friendly, he went above-and-beyond making himself available outside of business hours. Since we’re a NFP organisation run by people with “day jobs” this was enormously helpful. Thanks Smart Bookkeepers! I’ve been using Mike for my accounting and he has recently migrated me from myob to over to xero. I find it very efficient. He is saving me allot of money and has really got my books into shape. So, If i can refer someone, it would definitely be Mike from Smart Bookkeepers. I was delighted to offload the bean counting to smart bookkeepers mike pimentel whom I ’ve always found to be cheerful, helpful and trustworthy. The investment I make in paying mike to take care of our books has yielded an impressive roi in terms of money and time saved. It’s allowed me to concentrate on serving my customers and growing my business. Smart Bookkeepers have been invaluable to the smooth and efficient running of our business. Mike has not only brought expertise and experience, but has also saved us thousands of dollars. I would thoroughly recommend Mike and Smart Bookkeepers to anyone seeking reliable, professional bookkeeping services.